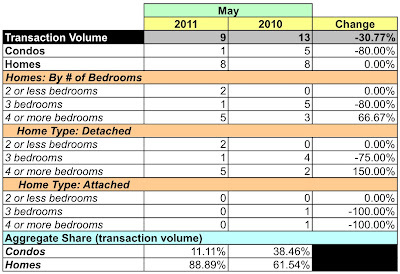 MRIS and its business intelligence subsidiary, RBI, released sales data for May 2011 a few days ago. 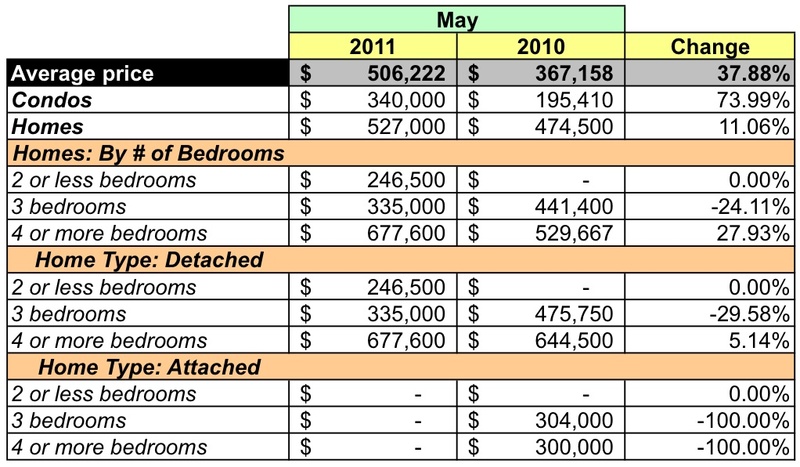 Today we look at May's closed sales in zip code 20012. Forming the District's northern tip, 20012 is bounded Beach Drive NW on the west, by Eastern Avenue on the east, and Tuckerman Street NW on the south. 20012 is home to the Colonial Village, Shepherd Park, and Takoma DC neighborhoods. Aggregate dollar volume was down 4.55% over the same month in 2010. Unit sales fell 30.77%%. The average and median prices for a home were up 37.88% and 31.25%, respectively. The average price for a condo was $340,000 and $527,000 for a house. Two of the homes sold in May were foreclosures. The median price for the foreclosed homes was $207,500. While 9 sales seems low, it's been the typical sales pace for 8 of the past 12 months in 20012. The sole condo sale was priced between $300-399K. Three houses sold for $500-799K, one house sold for between $1-2.49MM, the remainder were priced below $400K. 20012 represented 1.4% of May's dollar volume. The zip code's average price was 3.9% lower than the District's average; its median price was the same as the District's. The zip code's sales volume represented 1.46% of all units sold in May. At May's sales rate there's a 4.62 months supply of houses. There were 21 condos listed during May and given May's single condo sale, seller's may have a challenge ahead of themselves. All condos listed in 20012 were priced at less than $400K. The 33 detached houses listed started at $300K and topped out at $4.9MM while the attached houses were priced in a narrow band of $200-500K. According to MRIS, properties in 20012 sold for 91.9% of the listing price. 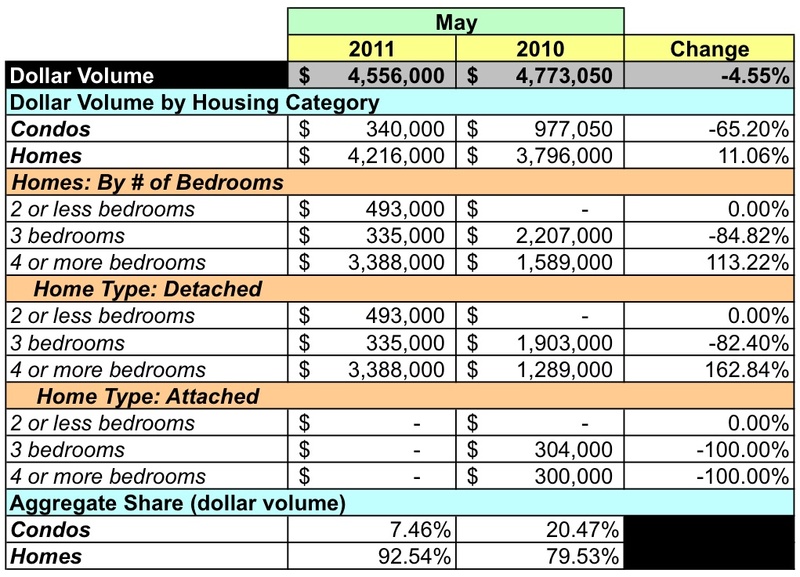 Based on May's sales, the market in 20012 is the strongest it's been since 2007. The number of new contracts and contingent contracts each hit new May highs with 16 each, which indicates that June and July 2011 will easily beat 2010's sales for the period.